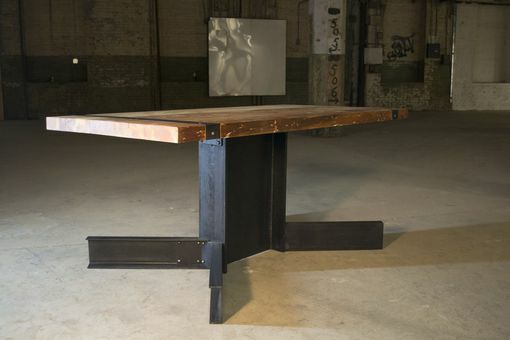 Here we have an industrially inspired dining room table that comfortably seats six people . 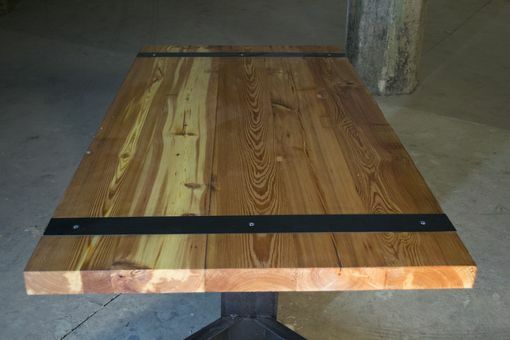 It is made from reclaimed long leaf southern pine and industrial grade steel. 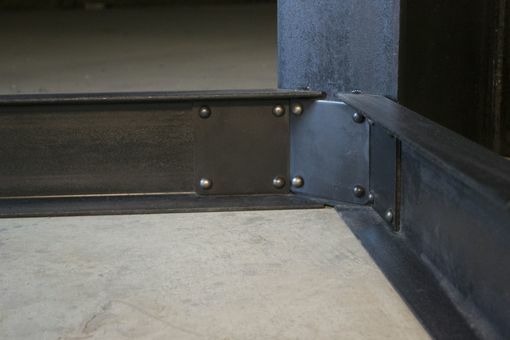 It features Rivet details and inlaid steel bands all Tig Welded and Lag bolted together with custom brackets. All steel is coated with matte black enamel and is finished with a protective layer of cleat coat. The wood is hand scrapped to a velvety smooth finish and is treated with Natural Danish Oil. 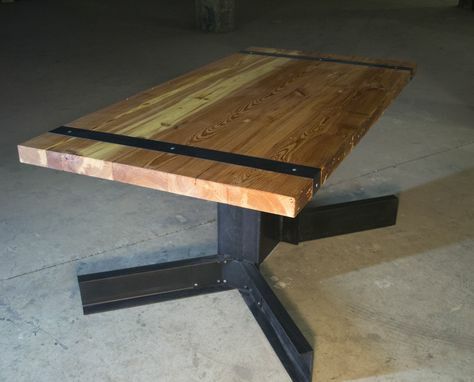 The table shown is 89" long and 35.5" wide and stands 30" tall. 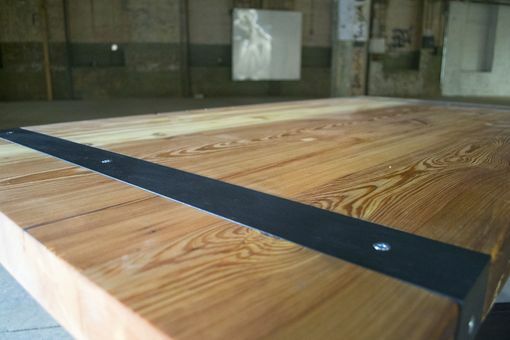 The table top weighs 145 lbs and the base weighs 210 lbs separately bringing this big guy to a total of 355 lbs! NOTE: If you are interested in a similar style table of different dimension than the table shown above, please contact me about a custom order and I'll be glad to accommodate your needs! Note: These ate true, industrially designed products so they are heavier than typical furniture. This piece is able to be shipped to your door but may require a small team to move. We can also ship this unit in pieces if need be to be assembled on site.